Left El Chalten at 7:15 AM bound for Chile and the Torres del Paine National Park. 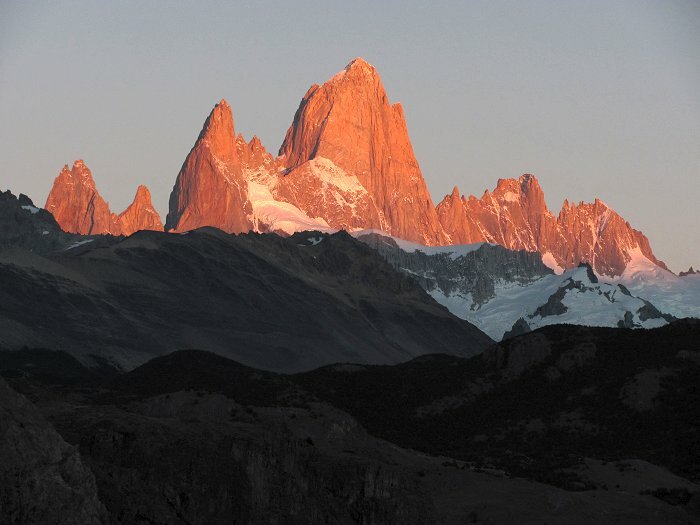 Just outside of El Chalten we paused to enjoy a 10 minute light show on the peaks of Fitzroy! Wow!